Microsoft SharePoint 2010 is a business collaboration platform where people can collaborate, set up web sites, manage documents, and provide intelligence to make key business decisions. This course provides insight into developing, debugging web parts, delegate controls and .NET user controls. This training course covers the objectives for Microsoft Exam 70-573 . 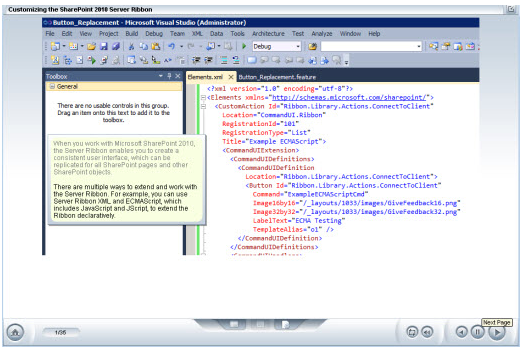 Passing this exam will earn the learner MCTS: SharePoint 2010, Application Development certification. With our full multi media interactive lessons you will learn to master the steps for success. Developers who use Microsoft SharePoint Server 2010 and consultants tasked with providing consulting services for MS SharePoint Server 2010. They should have proficient knowledge of Visual Studio 2008/2010. 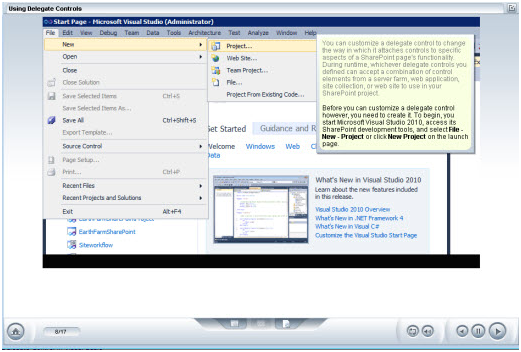 Add a resource file and create a localized feature using Visual Studio 2010.